Sin has impacted every corner of our being. It permeates even our loves and desires. Psalm 119 urges us to delight in the Word of God, it demonstrates the marvelous beauty and benefit of Scripture. Yet, because of our own sinfulness it is not easy to cultivate such love for God’s commands. Thankfully, the Psalm doesn’t just merely tell us to love the Word, it tells us that God is going to help us to love it. God helps His children to love His Word. In the New Testament Jesus puts it even more bluntly, saying that if we love Him we will obey Him (John 14:15). But it is not our natural bent to love the law of God. It is not our natural bent to submit to the Word, nor even to find it delightful. Even if we are obliged to read the Scriptures daily there are plenty of days where it is nothing more than duty. So, how do we cultivate love for the Scriptures? God helps us, and this Psalm gives us that encouragement and invites us to pray that prayer. If the Word is going to make a difference in His life, if he is going to truly be able to love it, then God must make him understand (v. 33-34). God must be his teacher (v. 64, 66, 68, 73, 102, 108, 124, 125, 144, 169, 171). But he will need more than teaching to truly love God’s Word. In addition to God teaching him, he also needs God to orient his heart towards delight in the Word. The psalmist asks of the Lord, then, “enlarge my heart” (v. 32). He knows he can “run in the way” of God’s commandments, but only after God has changed his heart. God must “incline” his heart (v. 36). God changes our desires to love the Word, even to delight in it. In fact, apart from God’s help we will never truly love the Word as we ought. The Psalmist understands that He needs God’s help to understand the Word, to delight in the Word, and to not depart from the Word. It’s a total picture that presents him as fully dependent on God even to love the Word of God. Perhaps you read the Bible and yet you feel so distant from it. The idea of delighting in God’s Word seems strange, even foreign to you. 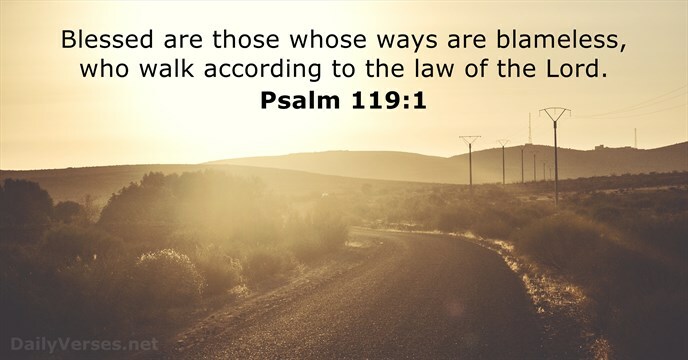 The author of Psalm 119 invites us to ask God for help in cultivating such love. God can “enlarge our hearts;” He can keep us close to the Word. If you are struggling in your commitment to Scripture, or your love for the Word then cry out to God for aid. Ask Him to make you love His Word. God delights to answer such prayers as we seek Him.